Kajol, who is all set to woo her fans, is coming back with Tamil film 'VIP 2' after a gap of 20 years. The 42-year-old actor revealed that Dhanush really lied to her regarding the film as he told her that 50% of the dialogues of the film would be in English but nothing of that sort happened. While talking exclusively to ANI, the ' Kuch Kuch Hota Hai' actress shared, "If I have to put it in kind words like Dhanush, it would be that he didn't lie to me and just changed his maths a little bit but then I would say that he is bad in Maths." 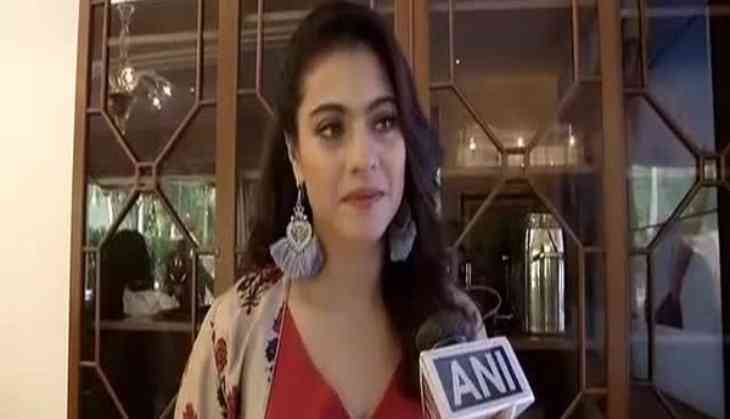 Kajol also revealed that initially, she was little apprehensive about the language whether she will be able to speak it or not. The ' Dilwale' actor said, "I have received the warmest welcome from all my fans and friends for making a comeback after so long and this makes me feel better." The 'VIP 2' cast was in the national capital to promote their film, and while appreciating Dhanush and Soundarya Rajinikanth, she shared that they both helped her a lot and also comforted her in every possible manner. Soundarya Rajinikanth's comedy drama 'VIP 2,' also stars Amala Paul, Vivek, Samuthirakani, Saranya Ponvannan and Monal Gajjar. The film 'VIP 2' is the sequel to the 2014 film of the same name and is a Tamil comedy-drama. It also stars Dhanush and is directed by Soundarya Rajinikanth. VIP 2's release date is yet to be declared.